Here we go again. With what has apparently become “my thing” in Fujifilm circles. Today I get to write about the new Fujifilm X-H1 APS-C camera. What I think is great about it, and what is not so great about it. This camera is all about the technicalities, so if you’re not into that sort of geeky technical stuff, then I suggest you change the channel right about now. I will try to blend some of my not-so-technical images into the mix to even it out a bit. But this is bound to get a little nerdy. Now, with that out of my system, let’s get back to business. My initial disbelief in this camera was quickly put on hold when I heard the shutter sound, and looked through a viewfinder showing a stabilised XF35mm f/1.4R! In all of my 2 months of using this camera, these two things are the main selling points for me with this camera. Stabilized XF35mm f/1.4 – AHHHH! During today you’re probably going to be flooded with reviews and opinions from a lot of different photographers and testers who have used and handled this camera to each of their best abilities. This camera is very well suited for the working photographer, the all-rounder, the sports-photographer and last but not least the videographer. The X-H1 can do so many thing right, so it becomes ever more evident that it is the person behind the camera creating the images. So in direct opposition to my X-T2 review a few years back, (where I tested it in 5 different areas of photography to really show that the camera could indeed do all those things for you) this time I’m just going to run through the camera as I used it during the danish winter months of 2017/2018. You’ll see no fancy Icelandic pictures, no racing-, no sports- or wildlife photography. There are probably massive amounts of sites out there today that can give you all the information you need about that. Disclaimer 1: All the images in this review have been shot on a prototype X-H1. It saw many image quality and firmware additions over the course of the test period. Hence IQ might not fully represent the shipping version. Disclaimer 2: Fujifilm X-Photographer here. My views are biased as hell! But as I wrote further up, no one has one-upped Fujifilm in my mind. Disclaimer 3: All productshots in this review are shot by me. Fujifilm use them for their worldwide marketing as well. Nice for me, huh? Disclaimer 4: Oh yeah, and watch your potassium levels if you like to eat bananas! Now, let’s dive in, and start with the look and feel of the camera shall we? Fujifilm X-H1 – XF18mm f/2 – 1/30s – IBIS is great with the primes at night! The X-H1: Built like a tank! When you pick up an X-H1 for the first time you’ll definitely notice a significant size gain from the X-T2 and other X-series cameras. The easiest way for me to describe the size without listing the exact measurements is to have you imagine the GFX a little slimmer and without the “bulky screen back” and you have the X-H1. The top LCD requires some extra width of the camera bodys right side, which has also been further enhanced with an all new handgrip that is really comfortable to hold. Not as “chubby” as the GFX, but close. This bigger size means that the housing balances much better when using the bigger “red label” Fujinon zoom lenses as well as the bigger primes such as the XF23mm f/1.4, XF56mm f/1.2 and the XF90mm f/2. The mount area has seen extra refinements in regards to rigidity to accommodate the bigger lenses. When using these bigger lenses on the X-H1 you have a truly well-balanced kit. However, it sure feels a lot bigger than the XT2 with the XF35mm f/1.4. So, with the X-H1, Fujifilm is definitely taking a departure from the “smaller mirrorless cameras”. I think it’s OK, since they have a lot of smaller sized offerings as well. When looking at the X-H1 with the GFX and X-T2 next to it, it doesn’t require too much brainpower to figure out how Fujifilm shaped the camera, and where they got their inspirations from. It is definitely the mixing of genes from both cameras. I’ve been told that the “H” stands for “High-End” but it might as well have been “Hybrid” since the X-H1 is a clear hybrid of the GFX and X-T2 as well as a proper stills and video hybrid. The materials of the body have improved. Fujifilm now use a much stronger magnesium alloy, and a much thicker and more scratch resistant paint job. It is really quite noticeable on the final product that the X-H1 has gotten the premium finish treatment. Of course the body is fully weather resistant, so there should be nothing holding you back from taking it into the elements. I sure did test the durability of the weather sealing more often than I would have liked with the absolute horror of wet and grey danish winter this year. On the X-H1 you will find two top dials with subdials beneath each one of them, just like on the X-T2. An ISO dial and a shutter speed dial. You have a new option in the “CM” setting, but other than that the subdial functions are the same as on the X-T2 as well. Fujifilm placed a top LCD and a small exposure compensation button instead of a dedicated exp. comp. wheel. This is exactly like on the GFX. – For exp. comp, you press the exp. comp. button and use one of the scroll wheels to compensate exposure. I never use exposure compensation since I always shoot in full manual, so I don’t really care for the change. But I know A LOT of people who will be sad to loose the dedicated exp. comp. dial. The X-H1 definitely acts more like a regular DSLR in this regard. You have the usual array of function buttons, freely assignable, as well as the joy-knob on the back and two scroll-wheels (one front, one back). This is all the same as we’ve gotten accustomed to from Fujifilm over the evolutionary course of the X-series cameras, so no real surprises there. Fujifilm made the EVF protrude out the back of the camera a lot more in comparison to the X-T2. This was done to prevent noses from being squashed too much on the back on the LCD. A very welcome change. The knobs and dials of the X-H1 have been made bigger, taller and better to handle/grip. It’s a really nice improvement from the rather crammed top plate of the X-T2. It’s now much easier to manoeuvre the function dials in the cold scandinavian winter using gloves that’s for sure! The tactile feel and shape of the buttons have changed somewhat, as well. They are now topped and half-dome shaped. much less recessed, and much easier to feel with your fingers. Again, a very welcome change in usability. A BIG change in operability is the new shutter button. Fujifilm made a different mechanism for the shutter release, so you will hardly feel any resistance when half-pressing the shutter. This camera was clearly optimised for back-button focusing, and when using that technique you can easily fire a triplet of shots in rapid succesion when in single-shot mode. I had to spend a good month to get used to this shutter, and I absolutely hated it at the beginning but when I got accustomed to it, it felt really good. All the advancements that Fujifilm has made with touchscreen interface from models such as the X70, X-E3 and GFX has been transferred into the X-H1. It has all the customisable directional swipe functions and general touch screen functions as on the X-E3, so in addition to the regular buttons, it makes for a very customisable setup. You also get all the new bluetooth connectivity features as was introduced with the X-E3. Fujifilm really left nothing out of the X-H1. As I stated a few paragraphs ago, the bigger size of the X-H1 is definitely great for the bigger prime lenses, and it feels especially optimised in regards to the pro-level zooms. Especially the XF16-55mm f/2.8 balances quite well on the X-H1. And with added IBIS, the 16-55mm just gets a lot more interesting in regards to low-light photography. And this leads me straight on to the biggest news of the X-H1. In-Body-Image-Stabilazation. IBIS: Is it the name of a bird? So, IBIS! Short for “In Body Image Stabilisation”. All the competitors have it, everybody is talking about how absolutely invaluable it is, and apparently you can’t photograph worth a damn without it! It kind of reminds me of the “the ISO race”. Honestly I think it’s superfluous for a lot of the photography being done around the world. There are some areas where IBIS really proves its worth, but it just so happens that photographing people in natural situations on the streets, kids in full play, long exposure landscapes on tripod and most of my other photography really doesn’t benefit from IBIS! – Yes, for portraiture and other similar low-action disciplines IBIS is really great. And for video it’s a different, and completely invaluable, beast completely. X-H1 – Zeiss Planar T 85mm f/1.4 – 1/30s – Handholding these old vintage portrait lenses at 1/30s and getting tack sharp results is very nice! I did find IBIS to be a real treat, especially for the XF90mm f/2 as well as the XF16-55mm as well as my vintage lens collection. So, while sceptical, I did end up finding it really useful in a lot of situations. I always found the XF90mm f/2 extremely amazing because of the best-in-class IQ, but it has always been really hard for me to manoeuvre because of the amount of light needed for the f/2 maximum aperture. I always end up going to at least 1/500th sec to get stay shots, and then having to push the ISO way high. With the X-H1 and IBIS this lens becomes even more versatile. I shot it at 1/15th to 1/30s with no issues what so ever! Same thing with my vintage lenses. They just get some new low-light potential that is very fun to play around with. Even the measly ol’ 135mm f/3.5 lenses becomes pretty usable in the dark! This is pretty much the standard for 5 axis stabilisation. The amount of stops gained actually differs through the focal lengths, with the optimal 5.5+ stops being achieved with the XF35mm f/1.4. This is pretty great! – In addition it works in conjunction with the OIS of the Fujinon lenses, so that the combination will always choose the best mode/amount of stabilisation given the mounted focal length. For example the longer tele lenses will use the lens’ own OIS pitch and yaw because the amplitude of shake on the sensor plane is too great for the IBIS to correct. As a result the camera will then only use the remaining 3 axis stabilisation in-body in conjunction with the OIS. When mounting manual focus vintage glass on the X-H1 you really have to be careful with registering the focal length in the settings menu. If you mount an 85mm and have it set to 9mm in the menu you will get some very funky shakes! So be aware of that. Because of the IBIS the camera will make a slight noise when turned on. This is completely normal, and trust me, your camera isn’t broken if your hear a low pitched hissing-sound coming from it. Over the course of the last couple of months I found IBIS to work really well. Especially because I like to shoot all sorts of non-Fujinon glass on my cameras to get a less clinical look to my images. The implementation is seamless, but with all this being said I still think it’s a gimmick that really doesn’t do all that much to my photography anyway. I’m not able to achieve stuff with IBIS that I couldn’t already achieve without. However, a lot of you will really appreciate this feature, and that is the beauty of photography I guess. It’s different for everyone. The X-H1 has been equipped with a brand new EVF. It has an amazing resolution of 3.69mill dots in comparison to the 2.36mill dots of the X-T2. It has a magnification of 0.75x which is slightly less than the 0.77x of the X-T2. It has the same 100fps refresh rate, but it has a much boosted brightness maximum of 800cd/m2. The reaction time when using eye-detection and switching from LCD to EVF has been lowered from 0.4sec of the XT2 to just 0.15sec. – This is really noticeable in everyday use, and a very welcome optimisation! Another new cool features is that you now have the ability to adjust the total colouring of the EVF and LCD independently of each other to your liking. This is super nice if you feel that you’re getting inconsistencies between using LCD and EVF for framing and recording. Fujifilm optimised the black out time of the EVF with the X-H1. In the new “CM” mode when using the new electronic first curtain shutter, you get 6fps with live view and around a measly 100msec of blackout-time. This is seriously impressive. It still uses a mechanical shutter, (in comparison to the Sony A9 which uses an all electronic shutter for blackout free shooting) but has almost no blackout. This is something people really have to see to believe. This speed option is however only available when mounting the accessory booster battery grip. A small, but VERY welcome addition of note to me is that Fujifilm finally (I only had to beg and nag Tokyo for 3 years) included a yellow focus peaking color. This is such a versatile color for peaking, and I love how it works on the Sony cameras already. So now we have it in Fujiland, and this function needs to get into every newer X-camera firmware ASAP! Shutter – Fire at will! There’s a redesigned and highly dampened shutter in the X-H1. Partly minimising vibration interference for the IBIS function, partly minimising shutter noise, this new shutter is amazing. The sound is so dampened it’s almost unnoticeable. The X-Pro2 has one of the nicest shutter sounds I’ve ever heard (I described it as a “ninjasword cutting through a ripe watermelon”) but the shutter sound of the X-H1 might actually sound slightly nicer! A really nice subtle “swoosh”. In general background noise you won’t take notice, even less so on the streets. I shot people unnoticed within 20cm of their faces. It’s so nice for a streetphotographer! The sound and vibrational output gets even lower when using the newly added EF-S (electronic first curtain shutter). I have been using this shutter type on my GFX for a long time now, and I love it. The way an Electronic first curtain shutter works prohibits it from making distorsion-free output at higher shutter speeds, and Fujifilm states that their EF-S works best below 1/2000s shutter speeds. If you choose to use the EF-S function above that shutter speed, IQ might suffer. In short, Fujifilm recommend that people use EF-S for “less-EVF-blackout-sub-1/2000s-shooting”. So, with the X-H1 you have an option to use either Mechanical Shutter, Electronic Shutter, Electronic First Curtain Shutter or combinations of all of them. There’s a really cool hybrid function that will use EF-Shutter up to 1/2000s then MS from 1/2000s to 1/8000s and then ES from 1/8000s and up to 1/32000s. A pretty clever option if you ask me. Image Quality: More of the same? In the image quality department there really isn’t much new under the sun in regards to sensor technology. The X-H1 use the 24.3mp X-Trans III sensor that first saw the light of day in the X-Pro2 back in January of 2015. All the recent Fujifilm X-series cameras feature this sensor as well as the X-Processor Pro. So if you love the X-Trans III output from eg. the X-Pro2, X-T2, X-T20, X-E3 etc, then you’ll love the output from the X-H1 just as much. I’ve written about the X-Trans III / X-Processor Pro combination and Image Quality soooo many times before, and I’m a huge fan of the dynamic range, sharpness and high ISO grain structure of this combination. Nothing has changed, apart from the sensor now being able to shift according to IBIS. Fujifilm promises that there is no loss of quality in this regard. You still have Fujifilms amazing jpeg engine as well. You get the same film simulations as on the X-T2/X-Pro2/GFX etc and there’s even a new simulation added called “Eterna®” – More on that later. Even though you’ll find the same tech on the inside of the X-H1 as on all recent Fujifilm X-series cameras, Fujifilm has implemented some nice features that will improve IQ during certain conditions. One example is the “Flicker Reduction” function. What this does is synchronise to the electrical amplitude of fluorescent lights or LEDs – For instance in an indoor sports setting, you can set the X-H1 to CH-M and turn on flicker reduction, and the camera will time the burst so you will not get shots that are underexposed due to hitting a frequency where the lights are dimmed. This isn’t an IQ specific function per se, but it still lets you get away with great consistency in IQ when doing indoor sports. Autofocus: How far can they push that thing! 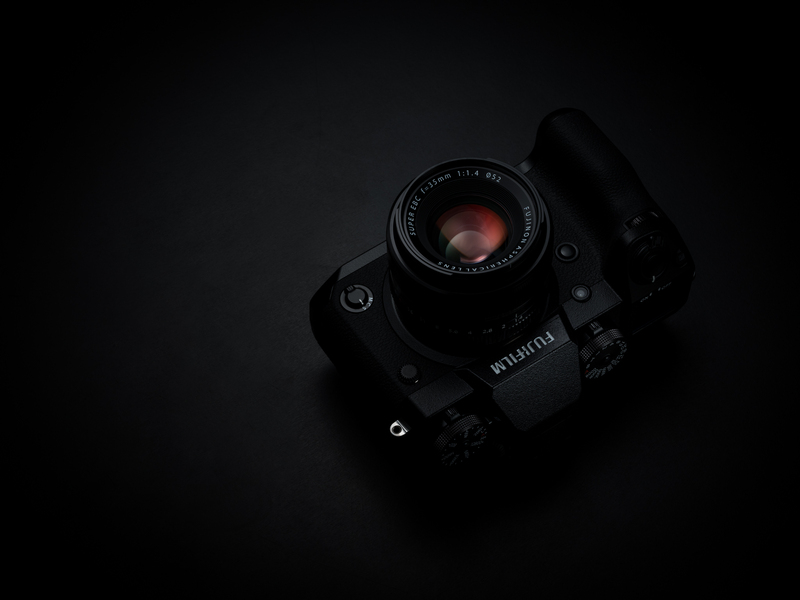 Just recently, with the release of the X-E3 and subsequently firmware upgrades of the X-T2 and X-Pro2, Fujifilm made yet another revision to their autofocus algorithm. They managed to subdivide each focus point into 5-sub-points for even greater speed and, most importantly, accuracy. With the X-H1 they take this even further. They now subdivide each of the 5-subdivisions into 4 new subareas, and those 4 areas even has 3 AF information pieces each. (phew…. I did warn you at the beginning that this would get a bit geeky) – That means that the X-H1 gets 60 pieces of data information from each AF point where X-T2 delivers 5 pieces of data information from each AF point. Obviously this means more accurate information, and hence much better and more reliable AF. 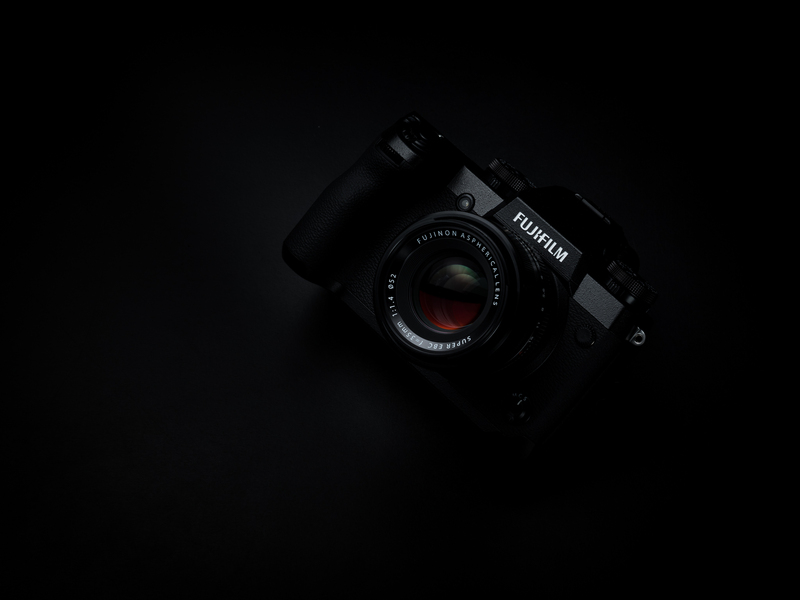 Fujifilm also tweaked the algorithm to better optimise the processor pipeline, hence pulling the absolute last drop of power out of the AF processing engine. This means that you now get a much lower light intensity limit for which the PDAF will gain correct focus. With the X-T2 the lower limit was 0.5 EV, with the X-H1 we’re all the way down to -1EV. Those numbers are getting to be seriously impressive, and to think that all this is from tweaking excisting firmware/software boggles my mind. Over the course of the last couple of camera- and firmware upgrades, Fujifilm has made it abundantly clear to everyone that they want to be taken more serious in the video market. From having barely supported full HD recording, the introduction of the X-T2 saw a whole range of functions and optimisations directly targeted at the video-crowd. The X-H1 takes these video functions to a whole different level! On the technical side the video image quality has been improved through the new ability to record a high bit rate of 200 Mbps. The camera includes up to 20 functional and performance improvements including 120P high-speed HD1080p video mode for recording slow-motion video. It records H264 F-log 4K 8bit 4:2:0 directly to SD card, and 4K 8bit 4:2:2 via HDMI out. You can recored in DCI 4K with a 1.17x crop, as well as fullHD at 17:9. You now get a 400% dynamic range setting (approximately 12 stops DR) in the movie section as well as a high quality internal microphone (24 bit/48 kHz). You also get a nice new timecode display while recording. With the X-H1 Fujifilm made a new film simulation specifically targeted at video users. It’s called Eterna, and it boasts a really flat file output. Low-contrast and Low-saturation are the key points for this film-simulation. It has soft shadows and broad tonality. You can choose this film simulation for still photography as well, and it allows for very nice post processing of the jpeg, since it will give you a very flat file. I use it where Classic Chrome seems too contrasty. The video section now has a 4-sub-level menu with a huge range of options that previously wasn’t available in a Fujifilm camera. I listed the 4 menus below, so you can get an overview of what’s available. I actually decided yesterday that I wanted to put some video content up for this review since video is such an integral part of this camera. So I had a go at it. This is an absolute first for me, and while it was fun to do these, I doubt it will be a starting point of something more. Video is way too tedious for me. Below is the video I shot using some various clips. Apparently it turned into a rock video. Hahaha. Anyway, I sure had some fun making it! Final Thoughts: Is it a bird or a plane? So what is this camera all about? Is it a stills camera? Is it a video camera? The obvious answer being both. But who would end up using this thing? While stills photographers could easily choose a package from Fujifilm that does almost the same as the X-H1, videographers should generally be much more interested in this camera. Obviously with all the new video things added as well as IBIS, this body seems to be all about the video. But at the same time Fujifilm went all in and made its best stills AF, best pro-grade housing and general improvements to stills photography. So it really isn’t that simple. My best take is that this camera is just what Fujifilm describes it to be with that “H” – It’s a High-End Hybrid mirrorless camera packing the absolute best quality in the APS-C market that Fujifilm can muster at the closing of 2017. So, I shot this camera for almost 3 months. I didn’t have anything special planned, I just used it for whatever situations I found myself in. All shots have been processed using either Capture One 11 or Adobe Lightroom. I processed them to my liking. These are not SOOC samples. You can find so many examples of X-Trans III SOOC images elsewhere. These samples are a representation of how I chose to use the X-H1 during the danish winter. And as you can probably see, the camera is quite versatile. Make sure to click the images to view them in the gallery. Wow, Jonas, incredible, beautiful, amazing photography…as usual! Thank you so much Stephen! Thank you for reading! That was incredible (the work). I particularly liked the video. The 90mm and 56mm are both favorites of mine, but I really missed the IBIS I had on my Olys. I am really looking forward to getting one of these! this is a wonderful review, especially that you have explained in understandable language some new technical aspects. Thanks a lot. 1) The X-T2 does get extremely hot (from spring until autumn). Now you tested it in winter. Any clue about X-H1? 2) When I used to have Nikons, all lenses would fit firmly on the mount. That is not the case with my X-T2: several lenses move around the axis. Any difference now? I agree with your findings on the XT2. The lenses mount better I think, but yes, scandinavian winter didn’t really let my heat test this thing. Using it constantly for video didn’t make the camerabody hot at all though. Beautifull pictures, alltough I did find some blue colors very strange (unnatural) , especially for the skies. Is this typical for Fuji colours ? Yes nice photos. But sadly I’m not a huge fan of Fuji colors. Too cold and blues are weird. I have always prefered Kodak like warm look. As always, I read your articles with great interest. This is the first X-H1 review I have read (as I got the notification on my e-mail account) and it is beautifully done. I love the added images, too. Of course, it is not so technical, just the way I love it, but still has enough data to have a global and objective view on this new camera. However, there is one technical question that comes to mind: what about battery life, compared to X-Pro2, for instance? How much battery life will this IBIS consume? Hey Sebastian! Thank you so much for the kind words! The battery life is about the same as on my X-Pro2. Not that much difference in real use to me. I havn’t tested them completely side by side though. haha,. Now THAT is cool. Thank your for sticking with my weird writing my friend!! Som altid Jonas, fantastisk reallive review som giver et fantastisk indblik i overall performance. Hey! Tusind tak skal du ha! Very nice…I’m wondering, how you like the Laowa 9mm F2.8? I am also interested in any thoughts about Laowa 9mm f/2.8. Jonas, a nice review of course, but I really clicked the link because of the photos I knew would come with the review. Would you be willing to share the lighting used for the two straight-on headshot portraits that you included in the body of the review? I quite like the character you achieved. Thank you! Hey Peer. Sure thing. And thank you for reading!! The color portrait of my daughter is lit using a Nissin i60a through a 60×60 lastlite soft box camera left/top. – Background is shot bare flash on a grey wall as second light. Amazing revew, Jonas. Question: should I eat less or more bananas? I’m kidding. This camera seems perfect for professionals. It would be interesting to see how the video capabilities perform along the new MK lenses. Your samples are fantastic, by the way. Hey José. Thank you so much my friend!! Incredible imagery. Wow. You have me convinced, I’ll tell you that. Looks like a great upgrade from X-T2. I’ll be keeping my eyes open. Thank you so much Pratyush! Exellent review, Jonas. Thank you for this great work! Great writeup. If you have Fuji’s ear, please, please, please tell them proper video exposure tools are needed. The competition have zebras a minimum and some have more. But zebras should be the minimum to judge exposure when shooting video. Magic Lantern figured out how to add them to various Canon bodies, surely Fuji’s engineers can add the code to provide a proper video exposure tool. While I welcome the IBIS, as a filmmaker the F-log profile is all but useless when you are limited to a 10-bit container. And a 30 minute recording limit is also a shame when the competition doesn’t have it. Close Fuji, but no cigar. Great write-up! Do you know how the IBIS work with manual lenses? Do you get full 5 axis stabilization? Jonas, great review! Unrelated to the camera, I’m curious to know what has you choose to use Lightroom or Capture One in a given situation. I started using Capture One when I started shooting on the X-T1, but that was also when I came back to photography, so I’ve never really been a lightroom user. I have used it for things like exposure stacking (HDR) in my architectural shoots, but that’s about it. Hi Jonas, thanks for this excellent review. All the images have your strong expressive aspect as always, how did you find the editing in lightroom? It’s fully compatible? I’ve just ordered the camera and I’m wondering if the process will be the same as my xpro2 in LR since they have the same sensor/processor. i I just pre ordered! Thanks for this! great work by the way! But, how do you get your x-h1 files imported and edited in capture one pro??? The only way I have been able is with jpeg I asked the same question but no response. Tried changing camera name to xt2 with metadata efitor but still no joy. Contacted phase one and they stated have to wait for capture one 11 upgrade which they are working on. Using jpeg with the Fuji x h1 has amazed me how good the JPEG’s are and the print outs on a Epsom stylus pro 4900 are some of the best I have ever had. I just use exif editor 🙂 – works fine here. Lots of thanks, agreat review, probably the best ever. Hi Jonas, like you I have a collection of lovely vintage lenses, but I have never used them with a Fuji body, something I want to try now. Over the last few years, I have been mounting them on a Sony Nex 5r and a a7s. The colours on the latter are poor. I do both photography and video. What I would really love to know before I decide which Fuji to buy is whether the X-H1 IBIS will work with my manual lenses WITH a Metabones speed booster, and how you would go about “telling” the camera what focal length to expect when using a speed booster. This could be complicated by the use of a full-frame lens with an APSC sensor, plus I believe the speed booster changes the festive focal length by 0.71. Any experience or thoughts please? I have also thought about it. I guess you need to test what works for best. Great info. Awesome blog post. Thanks for sharing…awaiting my XH-1 to arrive! !